The spirit bear. Photo by Destination BC/Clare Levy. 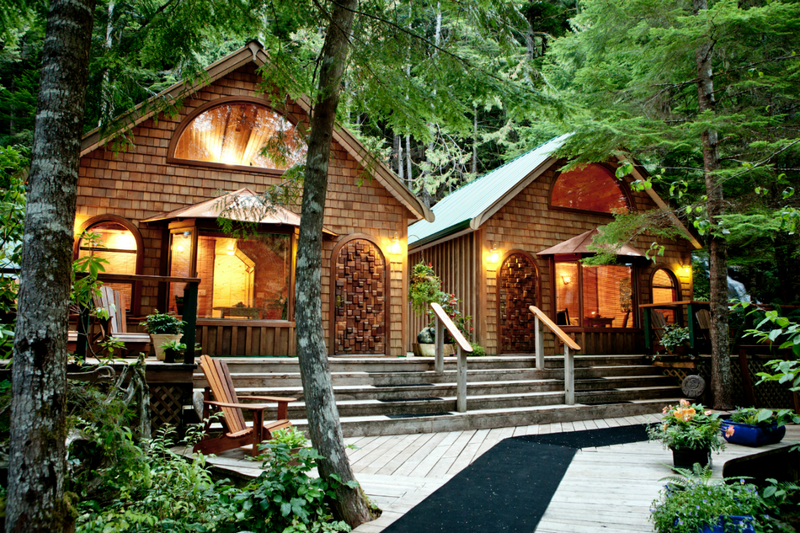 King Pacific Lodge. Photo by King Pacific Lodge. Spirit Bear Lodge. Photo by Spirit Bear Lodge. 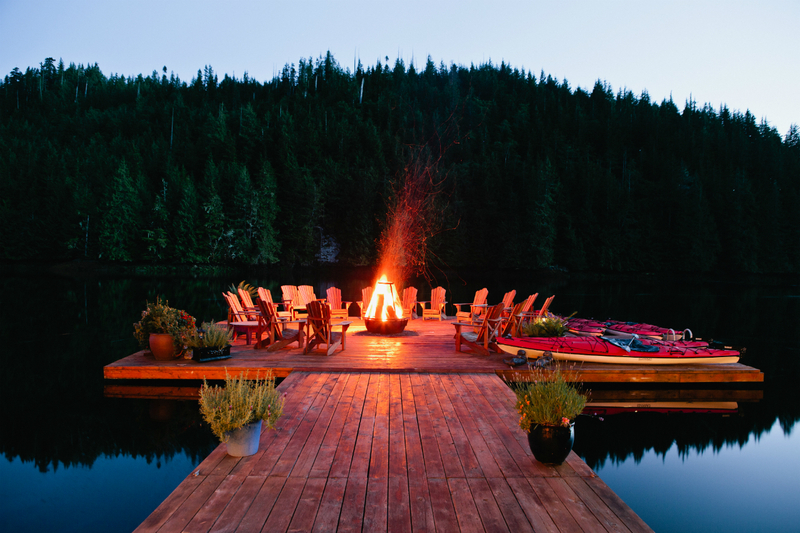 Nimmo Bay Resort. 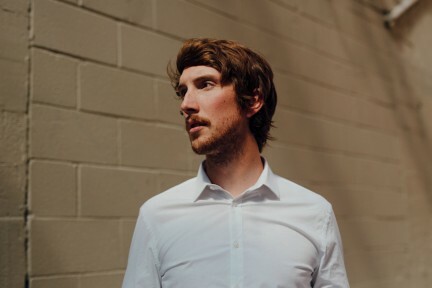 Photo by Jeremy Koreski. 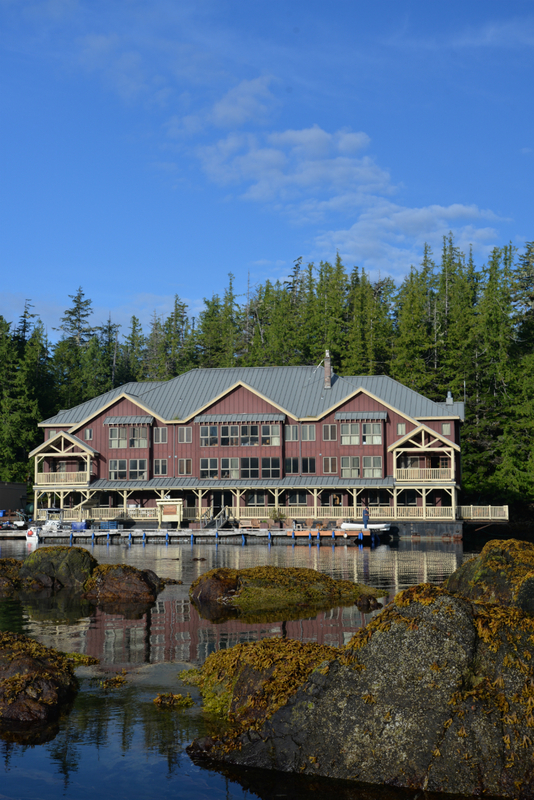 Nimmo Bay Resort. Photo courtesy of Nimmo Bay. 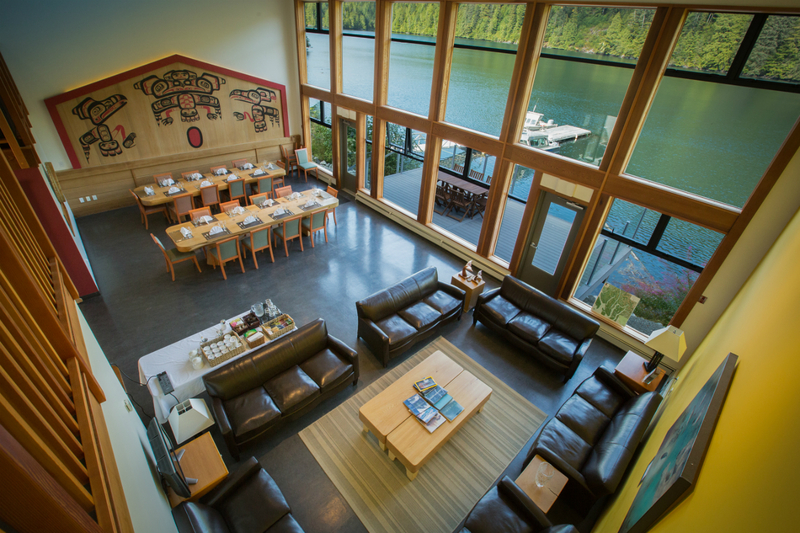 Knight Inlet Lodge. 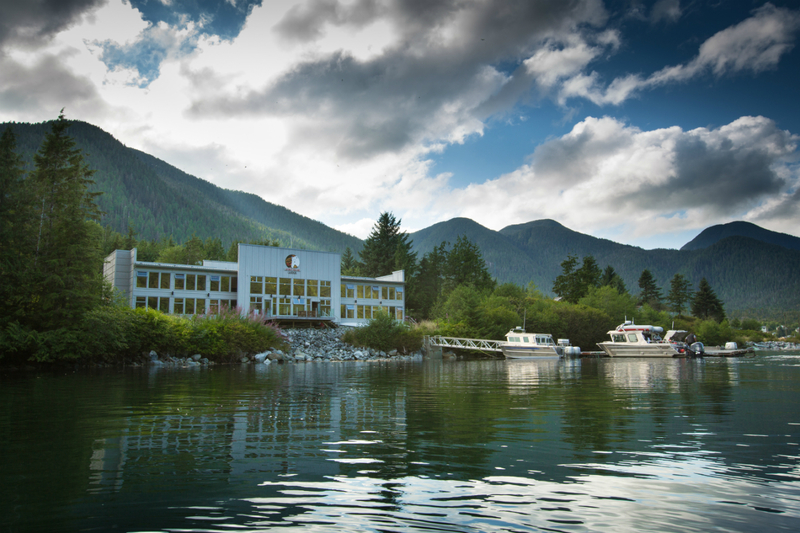 Image by Knight Inlet Lodge. North Pacific Cannery. Photo by Destination BC/Grant Harder. 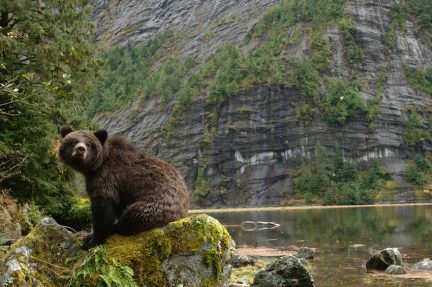 Environmentalists and indigenous groups had reason to cheer last week with the British Columbia government’s announcement that 85 per cent of the province’s pristine Great Bear Rainforest would be permanently protected from commercial logging. 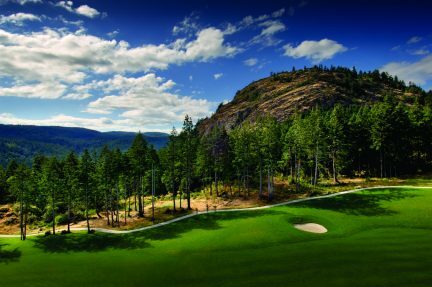 Stretching along the Central and North coast of B.C., the rainforest hosts some of the most vast wildlife, immaculate greenery, and mind-blowing vistas in all of North America. And though the deal is not perfect (logging is allowed on the remaining 550,000 hectares, and bear hunting has not been banned), it is certainly a step forward—and motive to visit. 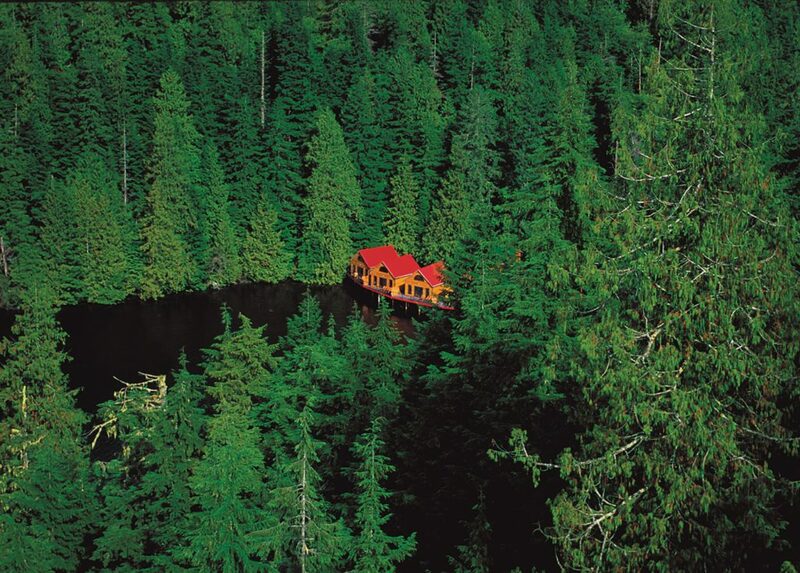 With help from Destination British Columbia, here are five locations in or near the Great Bear Rainforest that act as the perfect home bases for exploring all this incredible area has to offer. 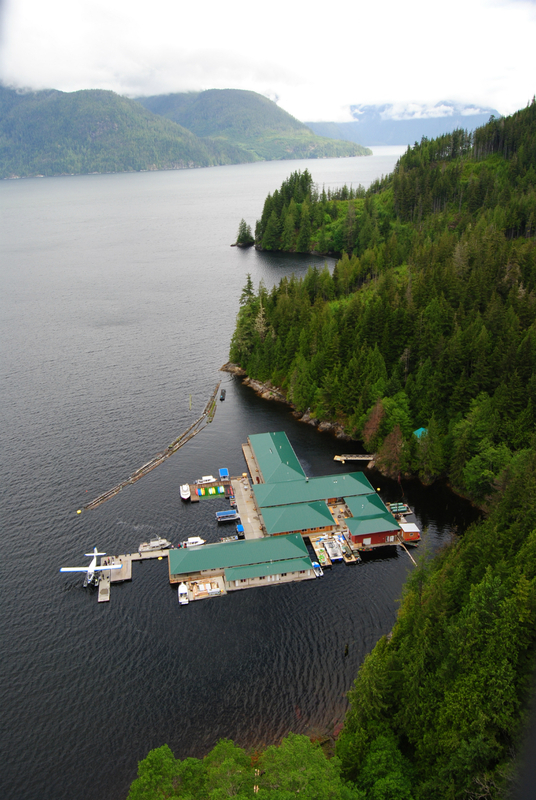 This floating lodge in Milbanke Sound provides some ideal fishing waters with an abundance of chinook and coho salmon. 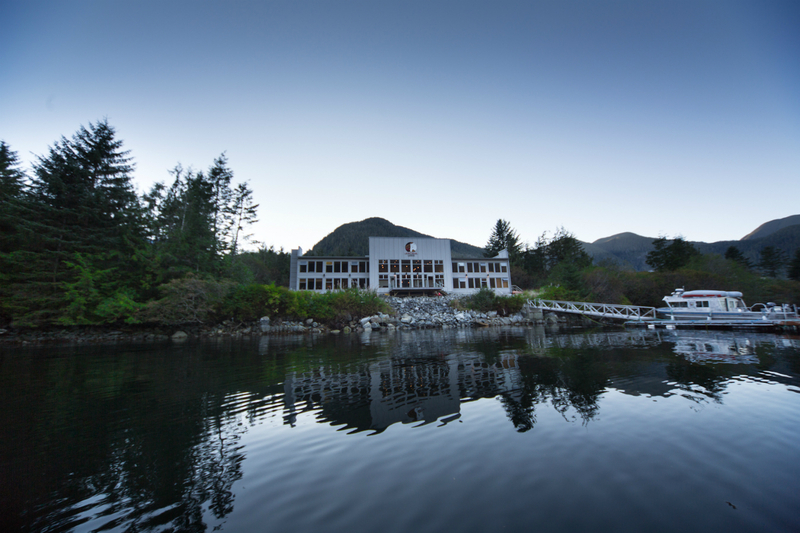 Built from native wood and stone on a U.S. Army barge, the resort sits in the heart of the Great Bear Rainforest region and offers ample opportunity to get out and play. Visitors can strike out on their own fishing excursion, or participate in a guided tour—whichever they think will nab them a whopping 60-pound chinook (yes, it’s possible). 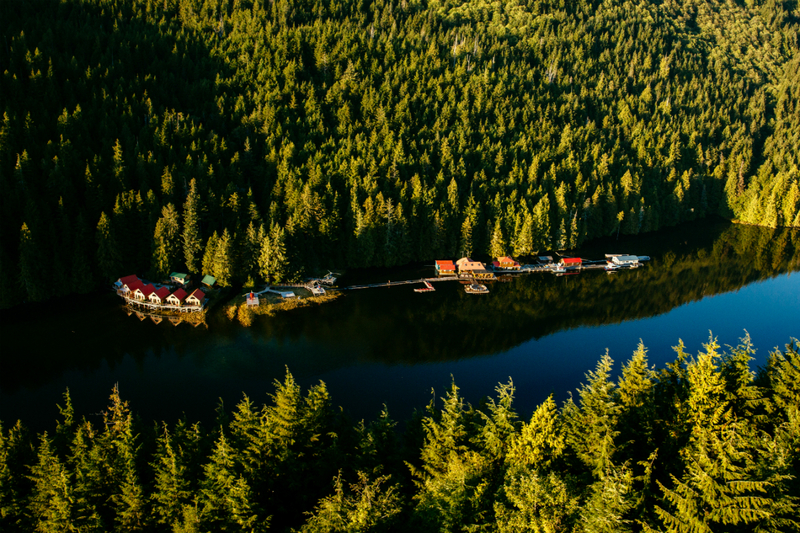 Located in the Klemtu village, this First Nation-run getaway is an unmatched jumping off point for exploring the Great Bear Rainforest’s vast breadth of greenery and wildlife. At the village’s Big House, one can learn about the Kitasoo/ Xai’xais First Nation’s culture and history; local guides will even take participants on special tours to spot different animals. Being community-owned, this property truly reflects the notions of its natural surroundings. 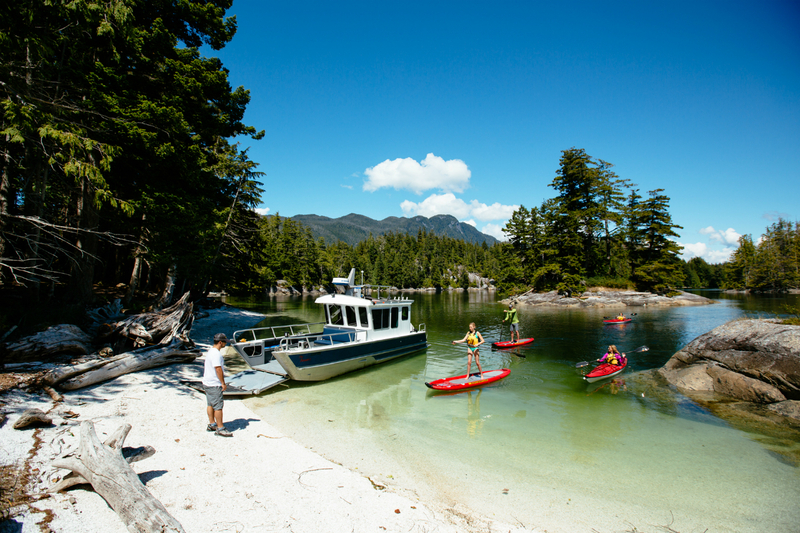 This isolated all-inclusive luxury resort hanging off of Mackenzie Sound’s forests offers multiple ways to be adventurous. 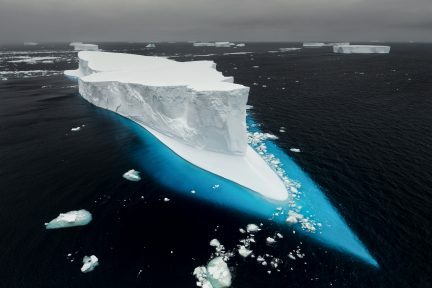 Take a helicopter ride over 50,000 square-miles of wilderness (and finish with lunch on a 10,000-year-old glacier); go fishing for wild salmon or steelhead trout at rivers high up in the mountains (a helicopter provides transportation); go whale or bear watching; explore the hiking trails and beachfront; or take a dip in the waterfall plunge pool. 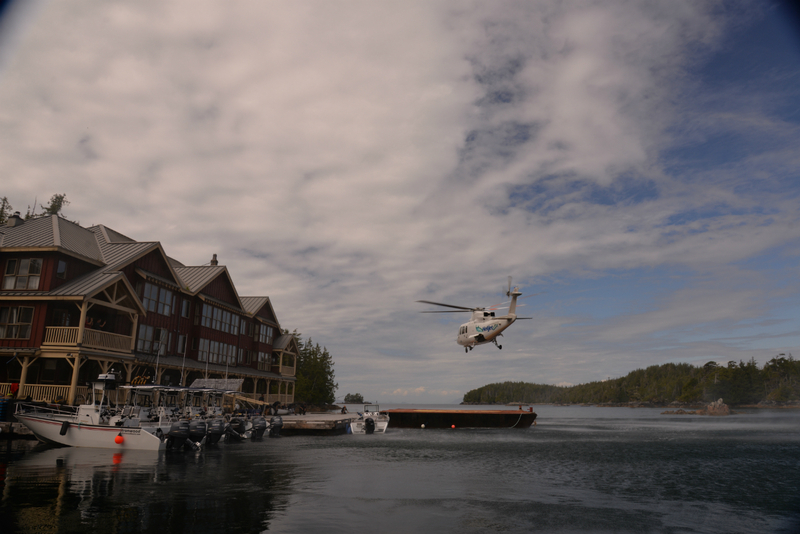 Reachable only by float plane, boat, or helicopter, Nimmo Bay Resort is a genuine natural hideaway. 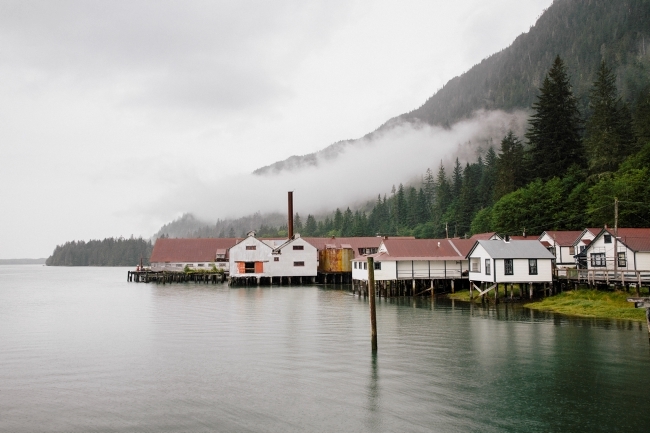 Knight Inlet, the longest fjord on B.C.’s coast, boasts some of the most fantastic views and neat nature moments. In the fall, the area plays host to brown and grizzly bears that have come to feast during the salmon run; in the summer, it’s the berries that keep the animals nearby. 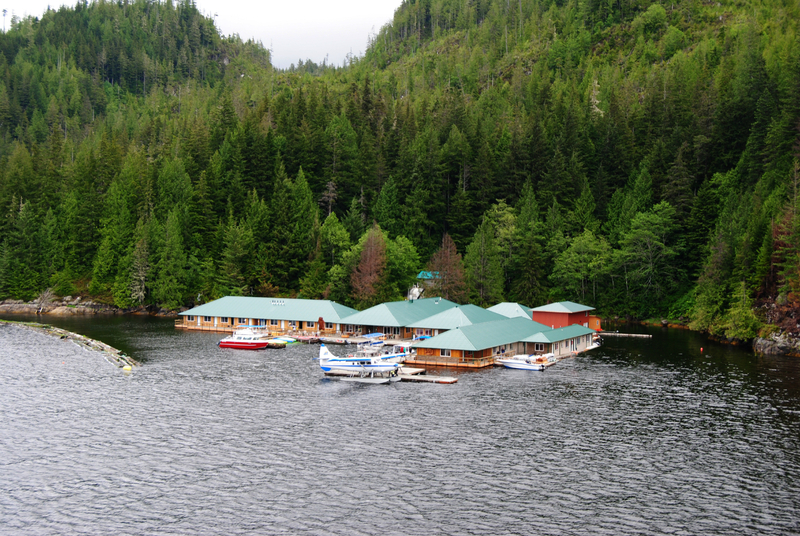 The Knight Inlet Lodge is a floating village made up of five cement floats and support buildings; on hand for guests are hiking and kayaking tours, as well as orca whale sighting expeditions starting in July. After a long outing, enjoy the lodge’s outdoor deck with gas fireplace and listen to the calm of the water and the cooing of the birds. Though not available for overnight stays, this national historic site is certainly worth a day trip while visiting Prince Rupert. 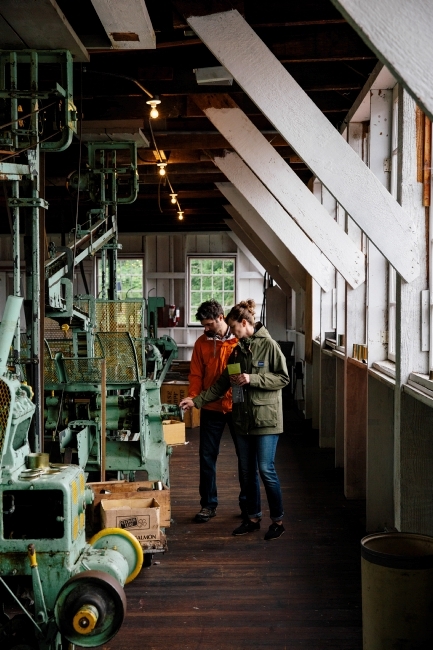 As the oldest remaining cannery on B.C.’s Northwest Coast, the North Pacific Cannery spans 30 buildings filled with fishing tools, canning gear, and old office items and furniture. 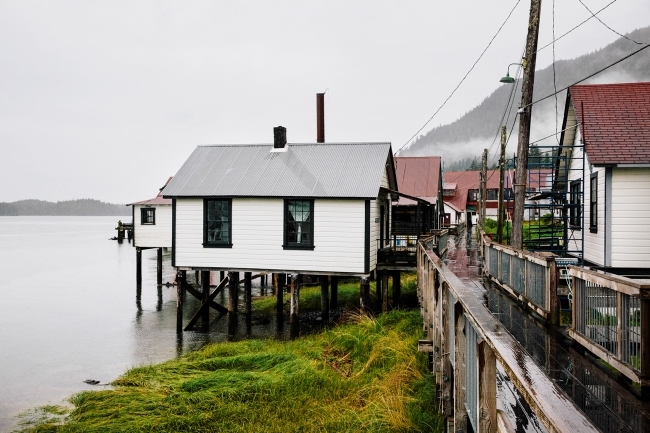 Located on the Skeena River and connected by wooden boardwalks, it houses a rich look at B.C.’s economic heritage. With 400 kilometres of temperate wilderness, the Great Bear Rainforest is one of Canada’s most boast-worthy destinations. Perhaps most famous amongst the trees is the rare spirit bear, a black bear sub-species set apart by its brilliant white fur. 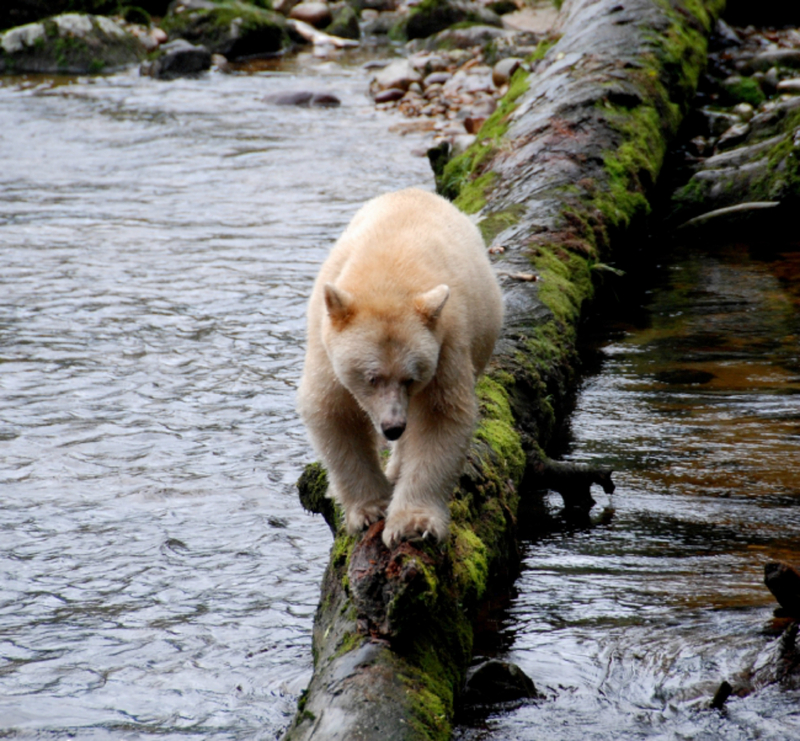 In fact, the Great Bear Rainforest is the only place on earth where spirit bears are found. Likely all it takes is one visit to see why.